SPEND A WEEKEND IN MELBOURNE! Where can you find many of Australia’s theatres, finest art collections and heritage buildings? Melbourne ofcourse! Explore the state of Victoria! Consisting of prized wineries, soothing spa’s and snow-dusted mountains, you’ll have lots to explore! Start your evening by popping into well known restaurant Chin-Chin and settle into an old-school booth while you wait for your table! After dinner, head down to Melbourne’s best jazz club, Bennett’s Lane and enjoy some of the world’s greatest talents! Start of your morning in Melbourne by joining the ‘Laneways and Arcades Walking Tour’. Spend three hours exploring Melbourne’s alleys and arcades, cafe’s and coffee shops! Finish the tour with lunch and some wine. Slow down the pace of your day by taking a walk through the Royal Botanic Gardens and ejoy the city’s collective backyard. Conclude your day with a drink in many good drinking spots along Gertrude Street. A strong espresso and some crumpets is the perfect way to start your day at Cumulus Inc. Enjoy a nice and heavy combo of sausage, egg and braised beans! Next, head down to the Ian Potter Centre where your crash course in Australian art awaits you! Book your lunch at Movida and enjoy some Spanish-Australian cuisine! 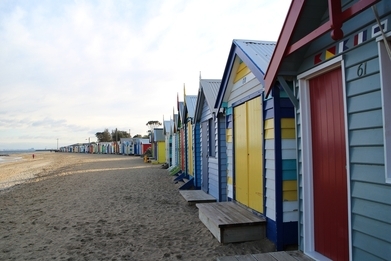 There’s all this and much more to do in Melbourne so go and explore! !